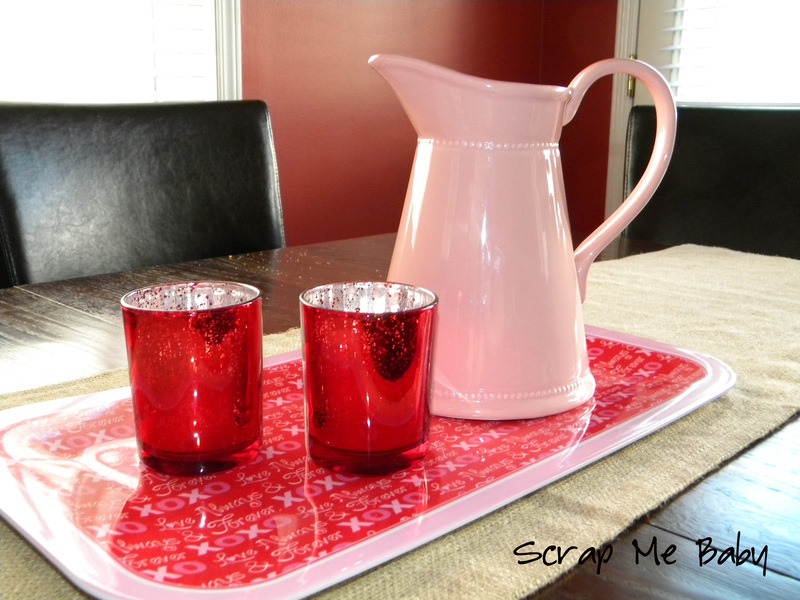 I have a fun Valentine’s project to share with you today! I started out with one idea and ended up going in a completely different direction. I had initially decided to make a sign using 1 Corinthians 13:4, snagged the perfect size piece of mdf from the scraps bin at my home depot (free, yay!) and painted it ASCP Emperor’s silk (red). Then I started to think about how many words were in the bible verses I had chosen, and got a little lazy intimidated. There was probably no way I was going to have the patience required to get them all looking perfectly straight and lined up nicely. Let’s be honest, patience is not a strong suit of mine. 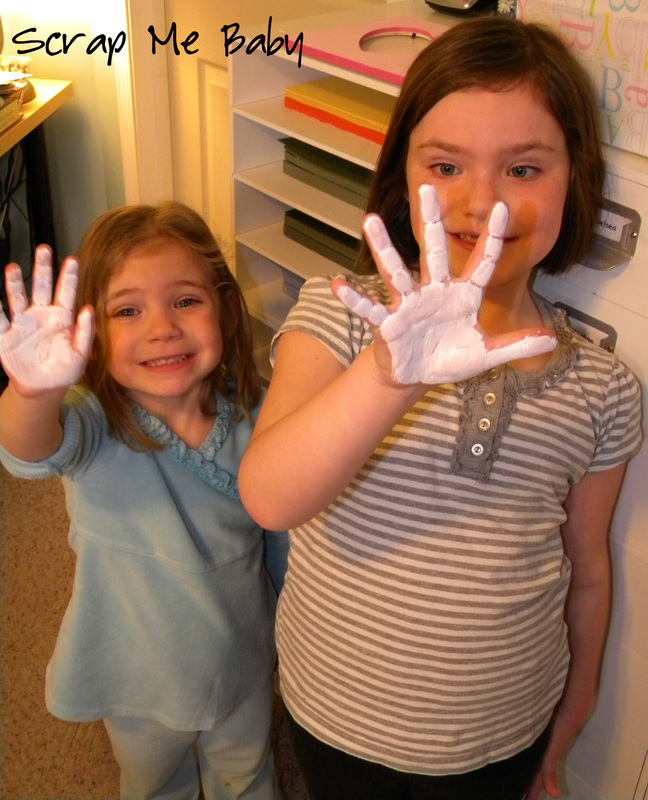 Plan B, I enlisted the help of these little cuties… who were more than happy to have their hands rolled with white acrylic paint! I used a wood heart that I picked up at Michael’s for $1, and painted it lightly with chocolate-brown craft paint. Papered the top, using mod podge (of course!) and lightly sanded the edges so it didn’t look perfect. I added a couple of white ribbon rosettes on top and called it a day. Attached the heart to the sign with hot glue, and ta-da! I am completely in love with it! 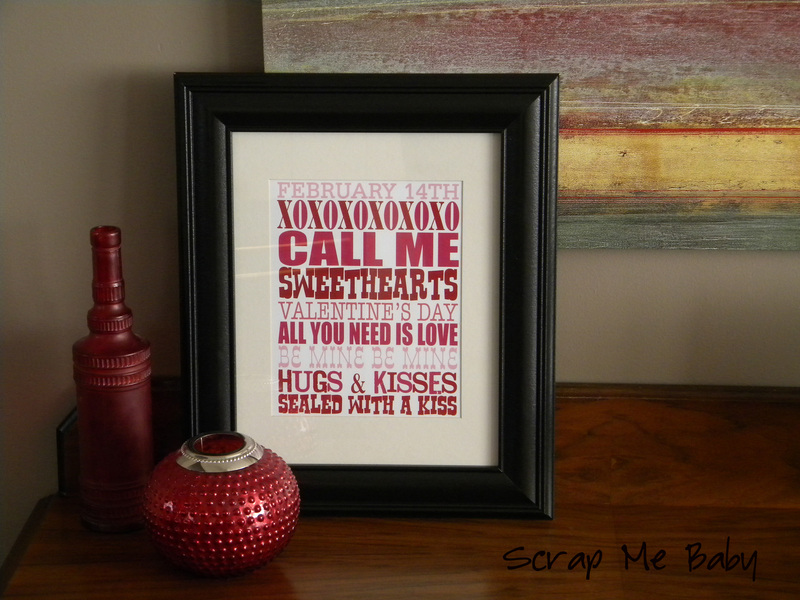 And, have decided it’s not just a valentine sign – it will be hung up in my office afterwards. 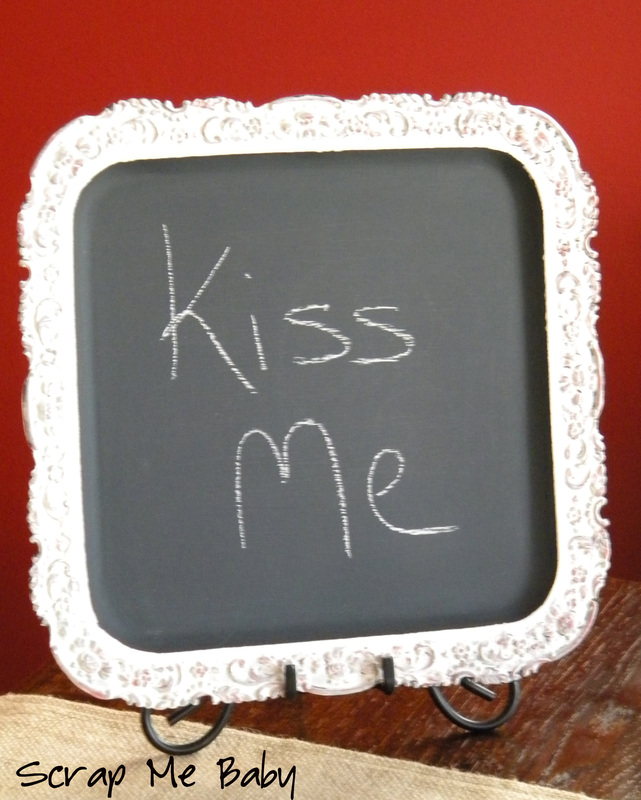 I also think this would make a fab gift! Maybe for Father’s Day, or for grandparents too. That’s the extent of our valentine decor, but I will make a “pink” breakfast for the girls, and my fab hubby always cooks something super delish for dinner. I have been on a roll lately, a project finishing machine! So hopefully I will have more for you to see later this week. 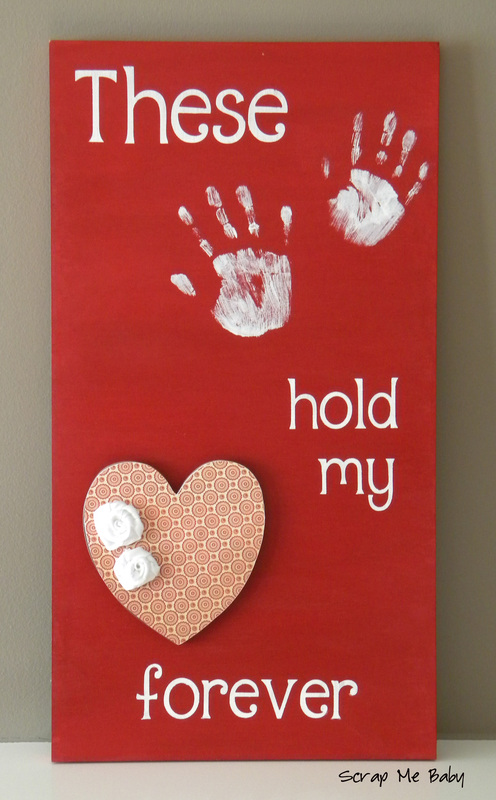 This entry was posted in Altered Art, Home Decor, mantle vignettes, Scrapbooks and tagged 1 corinthians 13, scrap me baby, These hands hold my heart sign, Valentine decor, Valentine Sign. Bookmark the permalink. Thanks for becoming my newest follower!!! Add you to my feed. That sign is adorable!! Thanks Donna, your blog is fabulous – I had to follow! 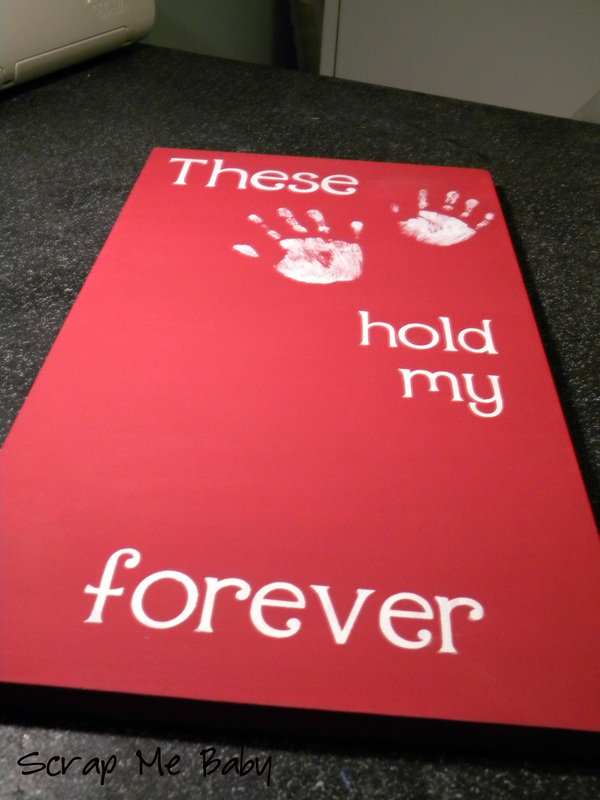 I love the handprints and “These hold my heart forever”!! My mama will go gaga over this from my kids! Thanks for your kind words at my blog!! !